You Be You. I’ll Be Me. It began with me supporting others, and ended with me supporting myself. Last weekend, I was in the stands for the Nutt’s Cup Crossfit Competition. Raising money for the Lt. Andrew Nuttall Youth at Risk (LANYAR) Foundation, this fundraiser honours (Crossfit Vancouver Coach) Lt. Andrew Nuttall who died while on duty as platoon leader in Afghanistan in 2009. Lt. Nuttal believed in making a difference, living life to the fullest. During speeches, a speaker commented that the best way she knew how to live life to the fullest was to be herself. Like a true introvert, her comment resonated with me for hours after. She was right. But being yourself is easier said than done. In K-12, I was the nerdy, loner kid. I never really had any solid friends, and there were times when I didn’t have anyone to hang out with at lunch. I never really fit in, and so when I moved to Vancouver for college, I figured it was a fresh start. I could be anyone but myself. I spent my 20’s being a chameleon and parrot. I said what others said. I did what others did. I wanted to fit in. A big part of that was drinking. Social-ness revolved around drinking. 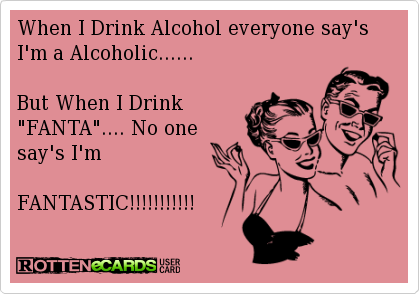 I’m not much of a drinker, but I spent many weekends (okay, and sometimes weekdays) doing so. Now, I don’t mind an occasional drink, but nothing more unless it’s all in the moment. It’s been a struggle to be more comfortable with owning who I am. My greatest challenge has been being true to myself, and not caving into peer pressures. Yes, I’m 32 and still struggle with peer pressure. Very few people understand the preference to not drink, but even fewer respect it. I’m slowly learning that those who don’t respect my choices, don’t respect me. Only recently, have I been honest with people (and myself). No excuses. I prefer to not drink. I’ve noticed my openness makes some people uncomfortable. I’ve noticed I don’t hang out with many of the same people I once did. I’ve noticed that very few people keep their comments about my lack of drinking to themselves. On Saturday, I went out with some new-ish friends. I know these women from Crossfit West10, and except for one, I had not socially spent time with them. A little bit of the old me crept up as I was getting ready. I felt a little nervous/ anxious. I was unsure how my no-drinking would be received. Even that little bit of worrying was too much, and unnecessary. We hopped around the city to The Keg Yaletown’s gorgeous patio, Glowbal, and Biminis. Then, it was home time. Not one of the women commented on the fact that I’d only had one drink, or encouraged me to have more. This was different. It was a pleasant surprise. On the way home, one friend commented on how she appreciated me driving, and that sober Rani was just as fun as tipsy Rani. What? Wait. It’s okay to be myself? This was the validation I didn’t think I needed, but unconsciously sought. (1) It’s better to be hated for what you are than to be loved for who you are not. (2) It’s okay to be different. It’s okay to be you. (3) Those who are comfortable with themselves will never want or expect you to be anyone but yourself. Reblogged this on Honey & Style.